Use this complete online CSSE Essex 11+ practice papers guide to help you and your child prepare for the CSSE Essex 11+. This resource includes free practice questions and answers. You can download a free Essex 11+ Practice Paper at the bottom of this page. Selecting the right secondary school is a big decision in your child’s life. If you and your child decide that a grammar school is the right choice for them, then it is best practice to be fully prepared for the test itself as well as the application process. This free resource will provide you with a whole host of valuable information regarding the entire process from start to finish of applying to grammar schools in Essex. It provides information about the test itself, key dates, frequently asked questions as well as practice questions. These questions are specifically designed to cover the kinds of things that your child will be tested on should they choose to sit the 11 Plus in Essex. You can also download FREE Essex Test Practice Papers at the end of this resource. What is the CSSE Essex Test? 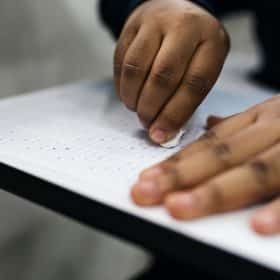 The consortium of selective schools in Essex requires children to sit two tests (one English, one Maths) to determine whether they are suited to a grammar school. This test is structured slightly differently to 11 plus tests in other geographical areas of the UK. How is the CSSE Essex Test Assessed? The tests are designed to cover the types of topics that your child has been studying at key stage two. They assess various skills in English and Maths and how well pupils can demonstrate these skills under timed conditions. They are intended to give pupils equal opportunity to pass and achieve a place at a grammar school of their choosing. How Long is the CSSE Essex Test? Pupils are given a total of one hour and ten minutes to complete the English exam. Ten minutes reading the extract that is given. A further thirty minutes answering the questions relating to the extract. It is advised that pupils spend ten minutes on this section. The questions are in a ‘quick-fire’ style. Pupils are advised to spend twenty minutes on this section. There are two questions in this section and thus it is recommended that pupils split their time equally (ten minutes per question). The maths test is comprised of one complete test which pupils are given sixty minutes to complete. There are sixty marks available in the maths assessment. Pupils are advised to answer the questions quickly but carefully. If there is a question they are struggling on they are advised to move on and come back to it at the end of the test should they have time. Where does my child take the CSSE Essex Test? The CSSE Essex test is only for those applying to grammar schools in Essex. Schools in different areas will have slightly different 11 plus examinations. Students will take the Maths and English 11 plus tests in the selective school that parents have chosen as their favoured examination centre. 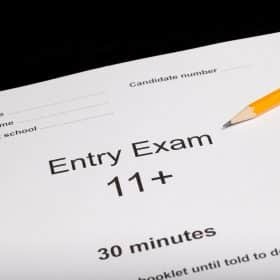 If an examination centre is filled up to its maximum number of pupils, an alternative centre will be assigned, or a different date will be given. CSSE recommend registering your child as soon as possible to ensure your preferred date and examination centre. What are the schools that can my child apply to? There is a choice of ten grammar schools that are part of the consortium in Essex. St. Bernard’s High School for Girls. St. Thomas More High School for Boys. The CSSE Essex 11 plus test applies to these ten schools only. Whether any of their siblings attend the same grammar school. How do I register for the CSSE Essex Test? One of the most important things you should remember regarding the CSSE Essex Test is the key dates. September – October 2017 Parents to fill in applications to their local authority to make an application for school places. The closing date for returning applications is the 31st October. 23rd September 2017 The majority of 11 plus exams to be taken on this date. 3rd October 2017 Remaining tests to be taken including those for exceptional circumstances, religious exceptions and illness. 16th October 2017 Results sent out by first class post. CSSE should not be contacted regarding a missing letter until 19th October. 17th October 2017 Parents who registered their children online are able to look up results. 1st March 2018 Local authorities to send out secondary school offers. *Please note, these test dates are based on applications for 2018 entry. Generally these dates will be around the same time each year. What should my child bring to their exams? 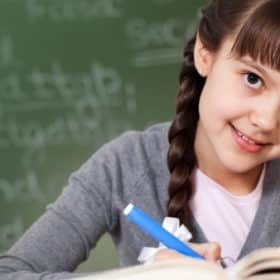 The only thing that children sitting the exams need to bring with them are pencils, pens and an eraser if they wish. Children do not need to wear school uniform when sitting the exams. Calculators and dictionaries are not permitted. Mobile phones should not be brought with children and won’t be allowed in the room in which the exams take place. Food and drink are also not permitted unless CSSE have been notified of a medical condition that specifically requires them. Pupils will be given refreshment break times which will be confirmed when the letters are sent out. The marks for the CSSE Essex 11 plus test are standardised each year. Once the total marks are calculated, averages and pass marks for the year will be set. Your child’s results will be further explained in the letter that is sent out with the offers. Can I appeal an outcome? When secondary school offers are sent out in March, the local authorities will also send information on the appeals process along with them. A parental appeal can be heard by the school if a pupil has not been successful in their application. This will be conducted by an independent appeals panel for the school in question. 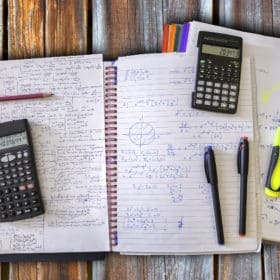 Although children will be prepared to some extent by their school for their upcoming exams, it has been shown that supporting and encouraging them to do even a small amount of practise outside of school can really improve their performance. Make sure you don’t leave revision to the last minute. On the same note, revision is best served in manageable chunks rather than lengthy sessions. Overwhelming your child will only serve to discourage them. You can always increase the length of revision sessions gradually. It is also generally best to focus on one topic per session to avoid confusion. Positive reinforcement can go a long way with revision. This doesn’t mean buying an extravagant gift when your child is doing well. It can simply mean allowing them time to do their favourite things. Let your child know when they are doing well and that you are proud of them no matter what the outcome. This eases the stresses that they will inevitably be feeling. Ensure your child is not distracted when revising. Turn off the television and mobile phone. Your child should be getting adequate sleep, the right nutrition and some form of exercise. Which of the following sentences has a mistake in its punctuation? If the following words were arranged in alphabetical order, which word would come last? What is one quarter of 6 hours? Fifty seven thousand, seven hundred and thirty six people attended a concert. In the line below, the word outside of the brackets will only go with three of the words inside the brackets to make longer words. Which ONE word will it NOT go with? Choose one letter that can be moved from the word on the left to the word on the right, making two new words. Which two shapes are identical to one another? Below we have provided some brief data which highlights some of the key information regarding the Kent Test. 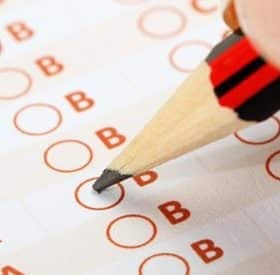 For a free CSSE 11+ Test practice paper, signup to our newsletter below and you’ll be sent a real CSSE 11+ Test Mock Practice Paper which has been developed by us to help your child prepare for the real Essex Test. 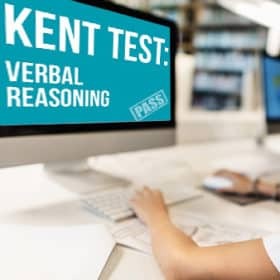 The below revision videos have been made to help your child revise each of the subjects areas the Kent Test assesses; Maths, English, Verbal Reasoning and Non-Verbal Reasoning/Spatial Reasoning.